Surface mount ic chips have a good quantity of gold. Gold quantity is also different in different ic chips. 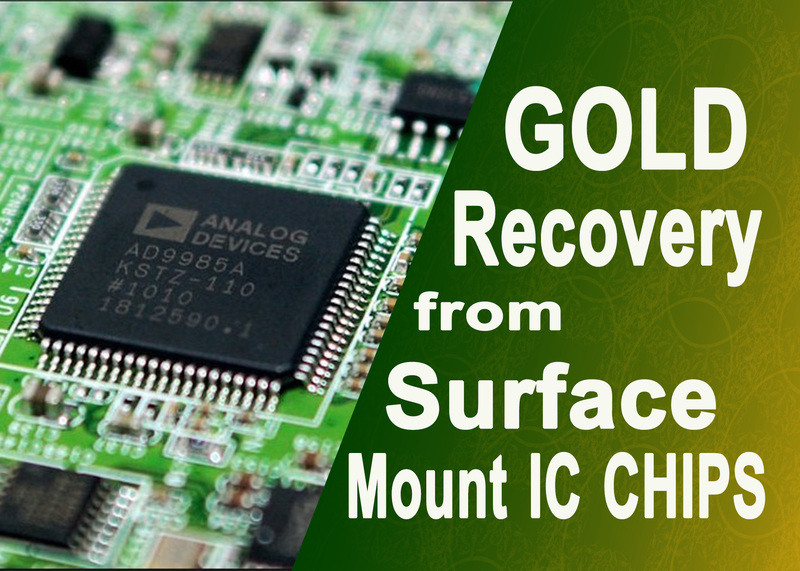 In this tutorial, we will learn about gold recovery from ic chips (black surface mount ic chips recycling). 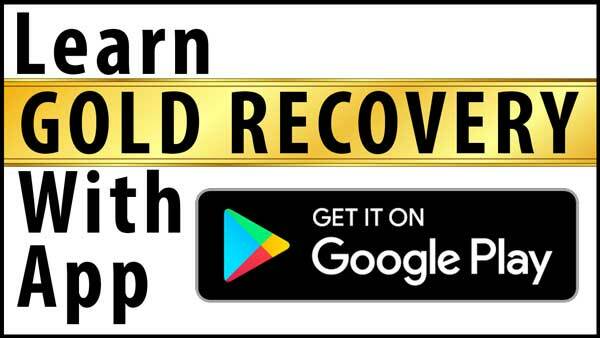 In this tutorial, only gold shall recover from ic chips. 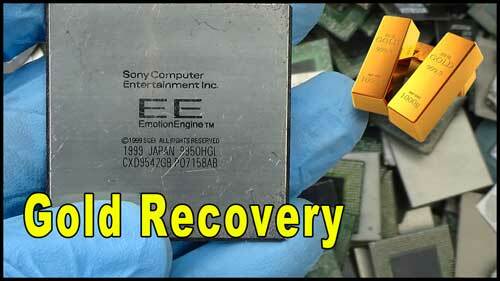 I will make another tutorial about gold, silver and palladium recovery from ic chips. Note. 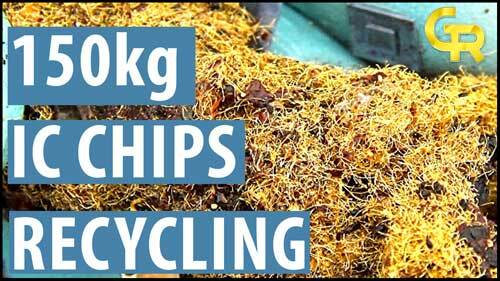 These ic chips can’t recycle to use this method. Note; This procedure contains some dangerous fumes. 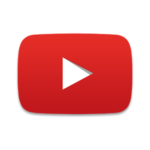 For more Details, You can watch Videos by Clicking this button. Put ic chips in a stainless steel pot. Add sulfuric acid in a pot until ic chips dip. Sulfuric acid should be 1 inch above from ic chips. Now give a normal flame heat. If you give a strong heat then ic chips will stuck and can’t process anymore. After some time, dissolving will start in H2SO4. If your acid starts to boil and increase its volume with black foamy acid. Add more sulfuric acid to get the black foam. When acid completely settled down then check is chips. 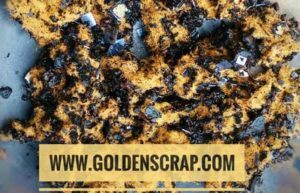 After complete dissolving black material, your ic chips will seem like below picture. When you feel all ic chips have dissolved. Turn off heat and leave it to cool down for two hours. Note; Don’t leave it for a long time. After 2 hours all metals will be settled down. Now, pour black acid to another pot carefully. If some gold wires will go with black acid. Then you can recover them from second pot. After pouring wash carefully ic chips with water three times. Note; Use strainer for every washing and pouring. Now, add water until material dip and add nitric acid for base metals removing. Nitric acid will be added until reaction. When reaction finish, double volume of solution with water. Wait for all materials settled down and then pour solution. If you see some copper or other base metals then treat again with nitric acid and add some sulfuric acid for a better result. Then wash with water three times. If you see aluminum and fiber fabrics then add some hydrofluoric acid. Hydrofluoric will eat all aluminum, fiber and all extra things. When the reaction has done wash with water. Now add some nitric again and wash with water three times. After washing you will see gold wires like below picture. Now, convert gold wires to the beaker or plastic bucket. Make aqua regia and add to the gold wires. Gold wires will dissolve in aqua regia. This gold solution is also called royal water. Leave it for two hours for reaction. Note; Shake solution three to four times. After two hours, filter the gold solution. You can use vacuum filtration but I will recommend you gravity filtration. It works best and filter paper does not stuck. Wash 5 to 6 times and don’t let gold solution in filter paper. Add urea until reaction for neutralizing the nitric acid. After this make SMB solution. You can add directly SMB to the gold solution but sometimes it does not work better. Take the double quantity of SMB to estimated gold. Or add until gold water become black and bubbles color becomes white. Leave it overnight for a better result. All gold dust will settle down. Now filter gold dust. Wash filter paper 3 to 4 times until all acid goes down. Dry and burn filter paper and melt the gold dust. Click here to learn about GOLD MELTING. 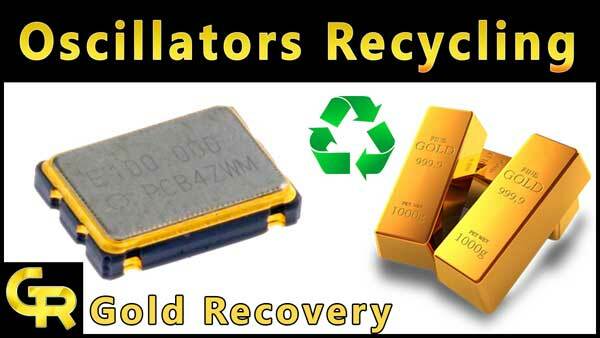 in this method can we recovery gold from rambord ic chips. I wonder about second step (adding nitric acid) to dissolve base metals, is there any silver will dissolved? if so, you didnt mention it in your video, can we recover it? I have another question, in my country it hard to get Urea, can i use Soda to neutralize Nitric Acid? Are you using concentrated sulfuric 90+%? Are you adding anything to the sulfuric? I have tried this several times with regular 32%, and with 98% concentrated, and have not had the substrate dissolve once. I have heated the sulfuric for several hours, and still nothing. Are you doing something that you aren’t telling us? I am not letting them cool down. I am rinsing them after 2-4 hours and still no change in plastic. I am using concentrated sulfuric just like you. I will try it again. I am also doing the same and facing same problem. Sulphuric acid turns black same as shown in your videos but IC chips remains the same. kindly suggest how can u correct the things. good evening my friend, you didnt answer my question about silver , and replacing Urea with soda. and i have new question, instead of dissolving the chips in acid, can i burn them and crush them after that using aqua regia ? that was the complete process . great job . can you post about processor pins ? If you want silver and palladium from ic chips then you can use mlcc recycling method for ic chips. But this method is expensive and your cost can increase. Yes it will work. I’ve tried the method with these materials and I had good results. Can we substitute Hydrofluoric acid (HF) with Caustic Soda (NaOH) for the removal of Aluminium and fibres if HF is not available? I know that NaOH can react with Aluminium and loose fibres very well. Since I didn’t not get any reply from Umar Iqba I decided to take a chance with caustic soda instead of Hydrofluoric acid and it worked as expected. How I can remove solder from this stuff? I can’t precipitate gold very well when solder is in solution. Add some sulfuric acid and double volume of solution with adding water. All solder will settle down after two hours. Filter the solution and then precipitate gold with SMB. can i recover silver and palladium from nitric acid that you use to remove base metal! 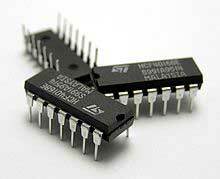 Is there any silver in these IC chip. If yes, then how can I extract silver from this? Umar Iqba, Dear Sir, What size stainless pots do you use? we are using very large pots. I dont understand the ic process wich acid is the most use at the begining. WE HAVE TELECOM MOTHERBOARDS AND CARDS APPROX. 100MT, WOULD LIKE TO GET THESE PROCESSED FOR RECOVERY OF PRECIOUS METALS. .